The Rufous-naped Wren is a common bird of the tropical dry forest ecosystem, and is abundant in Laguna de Apoyo Nature Reserve. The species is very social, as we all know throughout the Pacific region of Nicaragua, where groups noisily forage in both forests and inhabited areas with lots of trees. As many as ten wrens can be found using the same structure for roosting, inside of which they sleep in a big pile. They spend their day in a family-flock, noisily moving through the forest understory. They are easily spotted by even novice birdwatchers. A tree holding a nest fell recently, leaving two chicks homeless near us. The park guards who found them left us with the care of the these two chicks, which we placed in a cage (complete with the remainder of their fallen nest) and provided with food every hour at Estacion Biologica. A Rufous-naped Wren (Campylorhynchus rufinucha) chick atop the remains of nest inside her rescue cage. Photo by Louise Davidson. The following day, one of the chicks fell through the grating on the cage floor, and then began short flights! In spite of having practically no tail and primary wing feathers still growing out, she could fly. Encouraged by adults of the same species nearby, she moved from ground to trees, landing adeptly immediately. A Rufous-naped Wren (Campylorhynchus rufinucha) chick alights on a rock wall following her first flight. Note the incomplete primary wing feathers and the tufts of fledgling plumage in her tail. Photo by Louise Davidson. The Rufous-naped Wren (Campylorhynchus rufinucha) gives a look of confidence following her first flight. Photo by Louise Davidson. The stronger of the pair of chicks was quickly adopted by a nearby group of the same species. We were concerned that she would be repelled or even attacked, but she was readily accepted. That first evening of liberty, he returned and perched atop the cage. We placed him inside where she again accompanied her sibling inside the nest to sleep. The succeeding days, birds from the same species would visit the cage and call them. Only the stronger of the pair of chicks would leave the cage, however, and the third day, she stayed with her new family and did not return. A Rufous-naped Wren (Campylorhynchus rufinucha) chick chirps from her cage. Photo by Louise Davidson. The smaller and weaker sibling stayed behind, so we began a rigorous attempt to strengthen her enough to fly. A volunteer holds a baby Rufous-naped Wren (Campylorhynchus rufinucha)-it's feeding time. Photo by Jeffrey McCrary. A Rufous-naped Wren (Campylorhynchus rufinucha) chick with a piece of mango. Photo by Jeffrey McCrary. 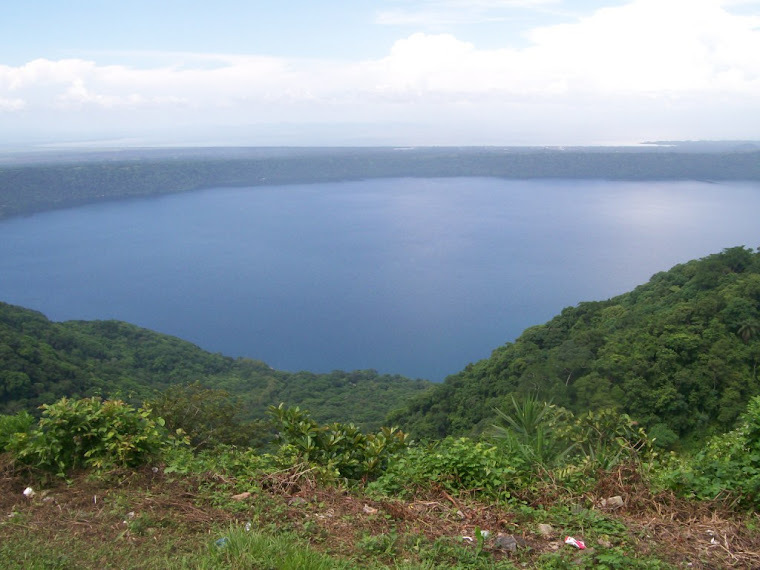 Students at the Laguna de Apoyo Spanish School fed her every hour, with mangos, insects, and moistened dog food. She survived several days, but never was strong, and she eventually succumbed. The Rufous-naped Wren is among the more common and easily sighted birds in Laguna de Apoyo Nature Reserve. They are active much of the day, in ebullient flocks, and are easily enjoyed by beginning birdwatchers. If you would like to make a birdwatching excursion here, please let us know, we can provide you with a professional birding guide to find and identify the birds with you.